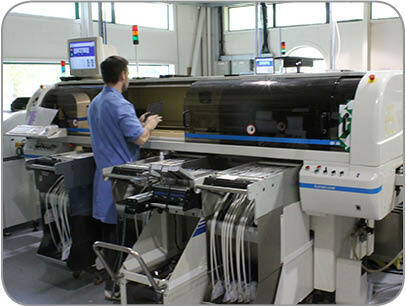 Camtronics Vale manufacture electronic components for a number of different industries and uses. We work with the scientific, medical, industrial, military, and LED lighting industries to produce high quality, reliable, British components. Our services include surface mount assembly, LED placement, electronic assembly, box build, programming and test. All of our manufacturing is completed in our purpose built, 9000m2 facility in South Wales. Our engineering team can take a fully engineered product or an early stage design and apply our manufacturing experience. This can then be put into New Product Introduction (NPI) or into a program to review manufacturability and/or cost optimisation. We have a robust manufacturing system and the IPC-A-610 acceptability standard ensures a high standard of workmanship. We are certified to ISO 9001:2008 which ensures our procedures adhere to industry standards. We can receive orders on a fully procured basis which are satisified from generic stock or purchased where it is not in stock or if a particular manufacturer is specified. Our purchasing team will analyse the bill of materials to establish the best source, price and delivery.